Home > Main Story > Fallen Police Band Director: Who Was CP Josephine Kakooza? Fallen Police Band Director: Who Was CP Josephine Kakooza? 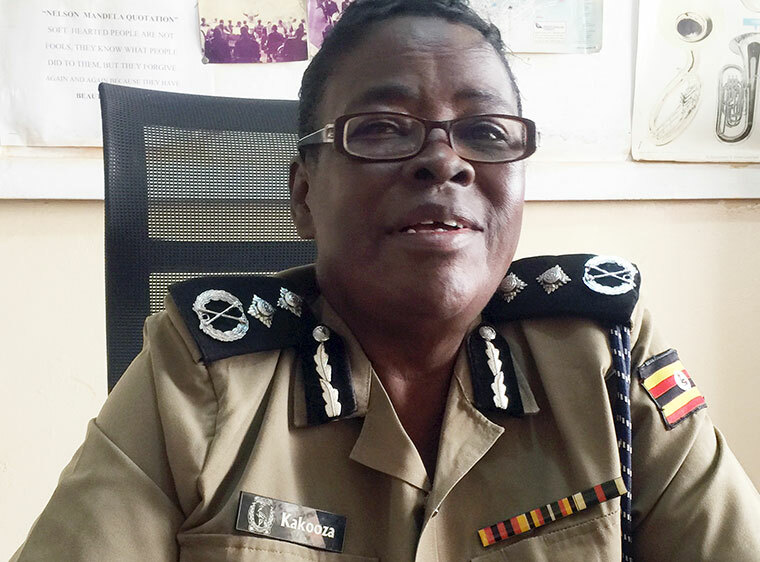 The head of Police music, dance and drama department CP Josephine Kakooza passed away at the age of 64 on Wednesday morning at Namirembe Hospital where she had been admitted. Kakooza, one of the longest serving officers, had by the time of her death served the Police for five decades, having joined the force at a tender age of 14.
Who was CP Josephine Kakooza? Commissioner of Police Josephine Kakooza was born in 1955 in Masaka to Joseph Kakooza, a former Buganda county chief, and Theodora Namutebi. She studied at Trinity College Nabbingo but dropped out in 1968. She thereafter enrolled at Butabika Hospital Nursing School but also dropped out. “I started with treating dead bodies which scared me a lot and ran away from there. I was also tired of seeing people dying all the time,” she told with The Observer Newspaper in a 2018 interview. After quitting Butabika Nursing School, Kakooza, whose focus was to shine in the police band, was connected to the then Inspector General of Police (IGP) Erinayo Oryema by a relative. She revealed that as a young girl in the sixties, she admired British policewomen who were managing the police band back then, a reason why she joined Police. ”I loved the way they sang and held instruments. I also admired police women because they were smartly-dressed all the time and performed on so many occasions,” she said. She joined the Uganda Police as a 14-year-old in 1969 and underwent intensive music training at Kibuli police training school for 2 years. She was later deployed in the police band under the police music department. She would over the years, establish herself in the Police Band and rise from the lowest rank of Probation Constable all the way to Commissioner of Police. She performed before different Ugandan Presidents including Milton Obote, Idi Amin and President Yoweri Museveni. By the time of her death, she was the head of the Music, Dance and Drama Department in the force. As head of MDD, she was responsible for overseeing and supervising more than 180 officers in the force’s band. Kakooza was an outstanding example of a woman determined to succeed in a male-dominated field and those close to her nicknamed her ‘Mama Police’. She won several medals during her time of service, including the Independence, Long Service and Good conduct, and Distinguished Service in the Police medals among others. Kakooza was a mother to six children, two of them however passed on. By the time of her death, she was preparing for retirement, with plans to take on tailoring and poultry farming after retiring from police.